It’s only natural that you want to take care of your dog so he’ll be by your side for years. The good news is — there are some very simple ways you can improve your pet’s physical fitness –you can even reap the benefits yourself! The more active your pet is, the healthier he or she is going to be. Want to make sure your dog stays healthy? Read on, I will share 4 helpful tips to you’re your pet to be more active and to improve his health. This is Spinna guys. He’s affectionate, he’s bubbly, and loves going for long walks. Oh and I almost forgot that he LOVES to cuddle. But even more than that, he LOVES playtime. One of the best things you can do to keep your dog fit is to take them on regular walks. Not only is there great benefits, it is the simplest way to exercise and spend more time with your dog. Getting out and about not only lets them stretch their legs, it also gives them mental stimulation, a social boost and some fresh air. Teach them a few new tricks. I’m sure you’ve heard of the saying that you can’t teach an old dog new tricks but that couldn’t be farther from the truth! 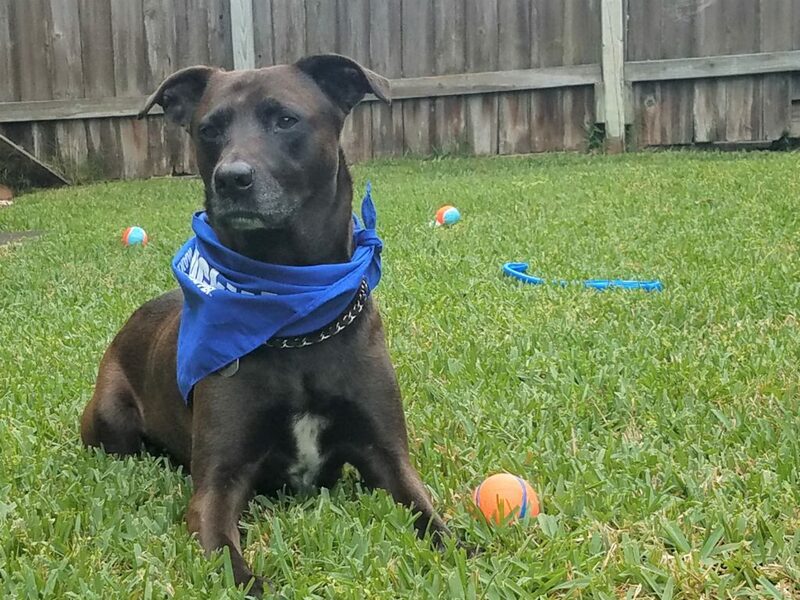 Keeping up with training and teaching your dog new things throughout the course of you’re their life is important for maintaining mental acuity. 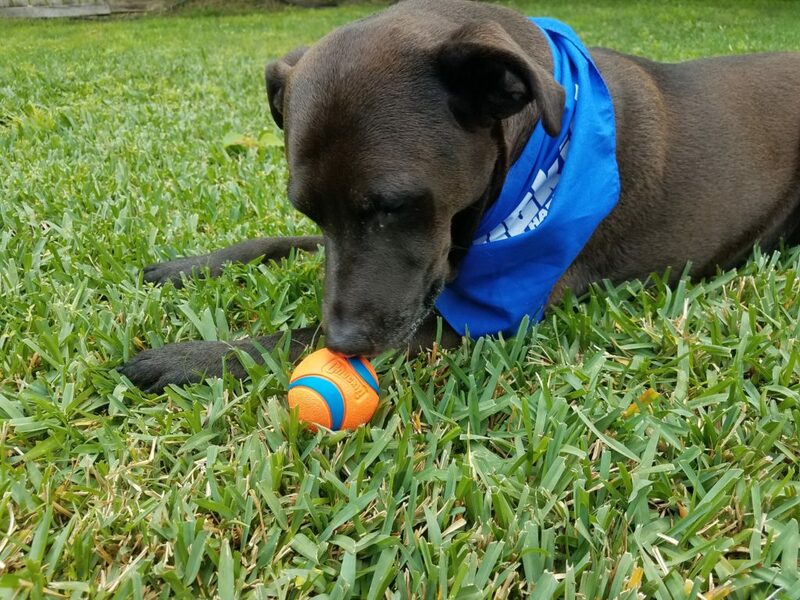 Some easy ways to teach your dog new tricks involve playing games together, using interactive toys, or teaching him to do new tricks. One of our favorite games, is playing a game of hide-and-seek. 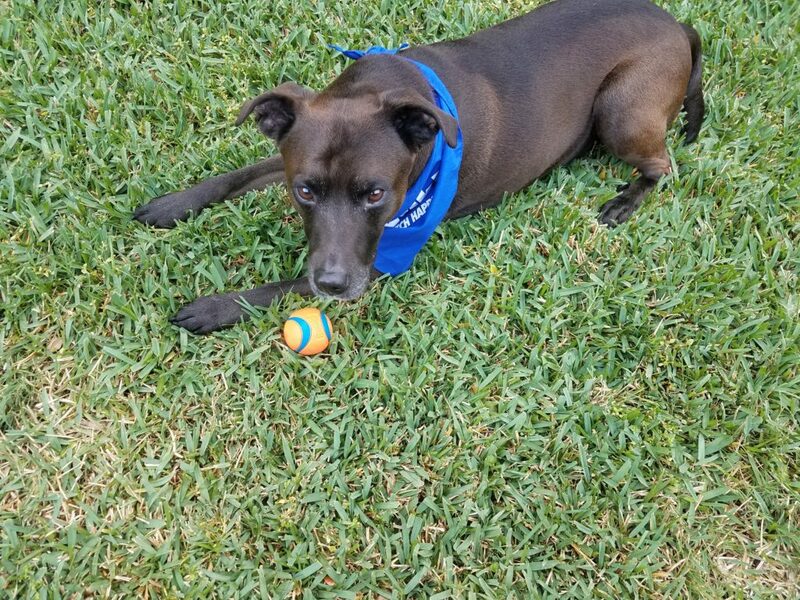 You can even go as far as playing the naming game by teaching your dog to associate a name with each of his toys. We haven’t tried this one yet but Spinna already associates names with a few other things. I think he would be very good at this game. Make sure he has plenty of toys. 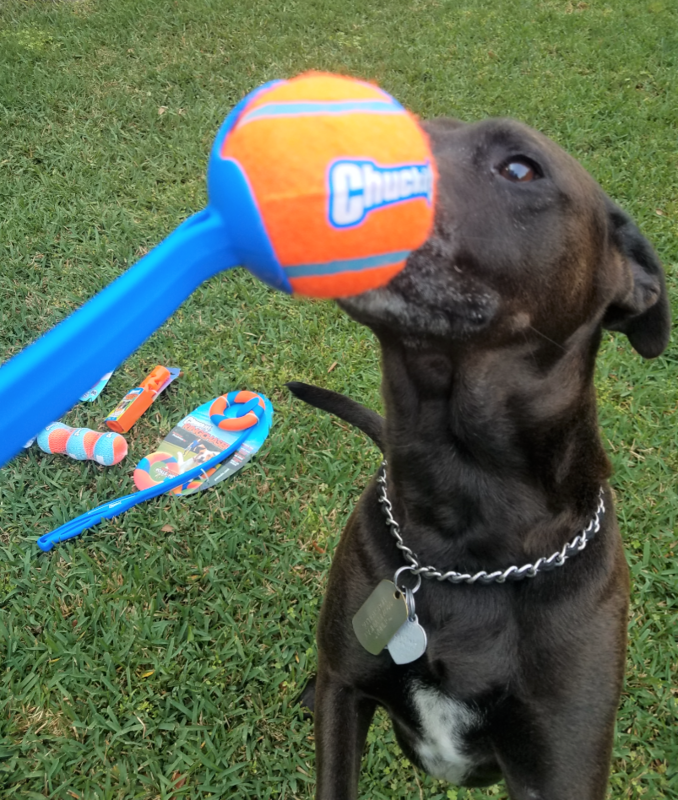 Playing with toys is another fantastic way of keeping your dog active. A little playtime can provide a good amount of mental stimulation as well as get rid of quite a lot of energy simply by messing around with their favorite toy. Spinna has no shortage of toys. Playing with toys is about more than just alleviating boredom – it also provides him with some mental stimulation. Be sure to select a variety of different options so your dog can pick out the ones he likes best. 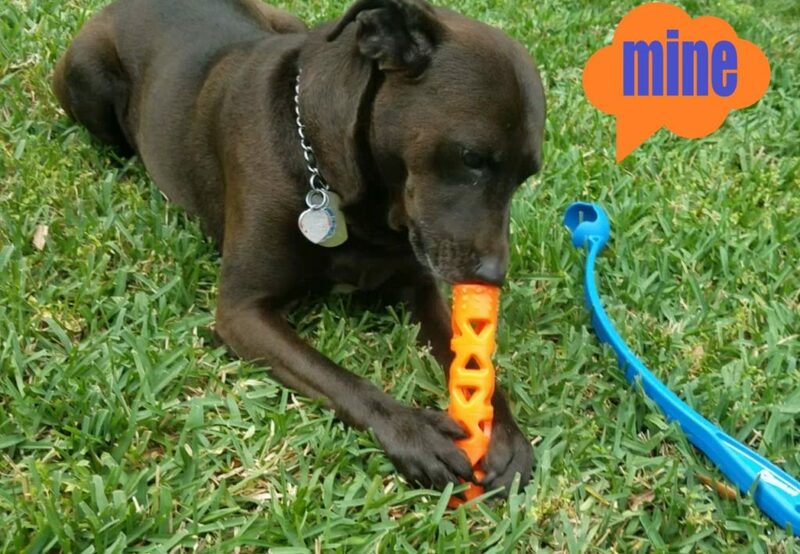 Be sure to include some puzzle toys and treat-dispensing toys as well as some chew toys that are gentle on the jaw. Fetch Boy Fetch! Fetch just so happens to one of the words Spinna knows all too well. His face lights up just hearing the word. Retrieval games with your dog is a good way to tire them out. 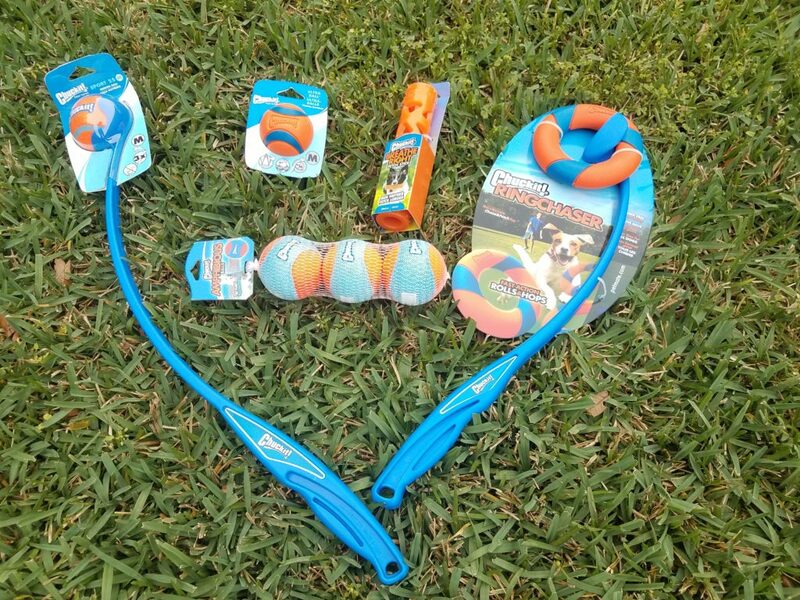 If your dog loves to fetch a ball you can play this at home in your garden, around your house or out on walks. Spinna received a fun pack of Fetch toys for Chuck It and absolutely love them. It was difficult to say what was Spinna’s favorite at first but after a while of play , it looks like he has two favorites. The Launcher/Ultra Ball and the Fetch Stick are definitely the winners. He even became a little possessive when we tried to take it away. Playtime with your pooch is important. It reduces stress, creates a strong bond and gives your dog meaningful interaction. And best of all it’s a way to give your dog their daily exercise, even on those rainy days. 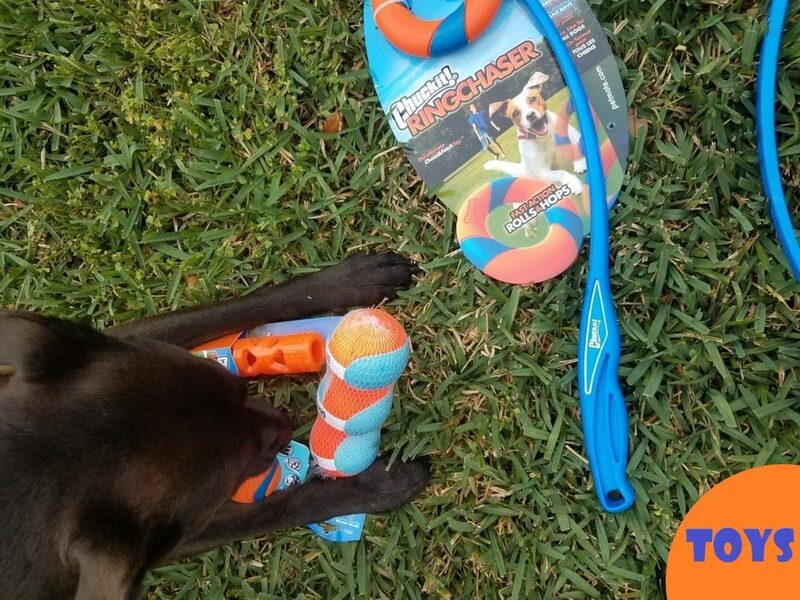 Which toy do you think your dog would like best? You can buy now online or purchase in-store at select retailers.